Fire doors are simply doors with a fire resistance rating used to reduce the speed of fire or smoke between areas to allow safe egress. Fire doors are an integral part of a fire safety plan. Some fire doors are designed to be closed at all times. However, fire doors in high traffic corridors like schools, hospitals, libraries, offices and large public buildings, are designed to stay open under normal circumstances. 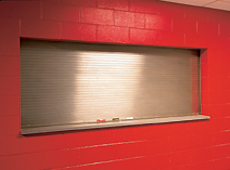 These doors are held open by the use of electromagnet hardware wired to the fire alarm system. If the power fails or the fire alarm is activated the magnet de-energizes and the door closes on its own. 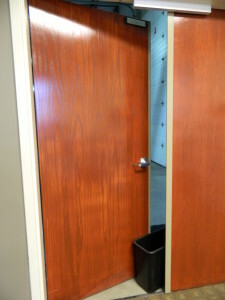 A second type of fire door is the overhead rolling fire door. 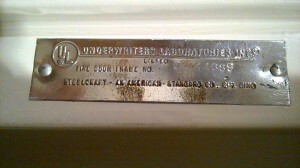 They are found in in commercial, industrial, institutional, and retail settings. They are also used in any commercial space where fire may spread, such as counter spaces, service doors, and in parking garages. 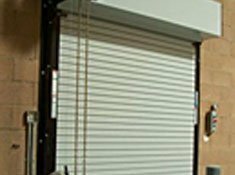 Overhead rolling fire doors are made of steel and are designed to close automatically in the event of an alarm activation. All fire doors as well as all their components are required to adhere to certification requirements of the local Authority Having Jurisdiction (AHJ). Fire ratings range from 20, 45, 60 to 90 minutes to withstand temperature curves. The doors themselves may be made of a combination of materials including; timber, steel, aluminum, gypsum (filler), Vermiculite (pressed) boards and glass sections. The components associated with fire doors must also meet the fire rating requirements of the AHJ. Components to fire doors are the door frame which includes fire or smoke seals, gaskets, weather stripping, and all associated door hardware. Door hardware includes hinges, handles, latching mechanisms, and automatic closing devices. 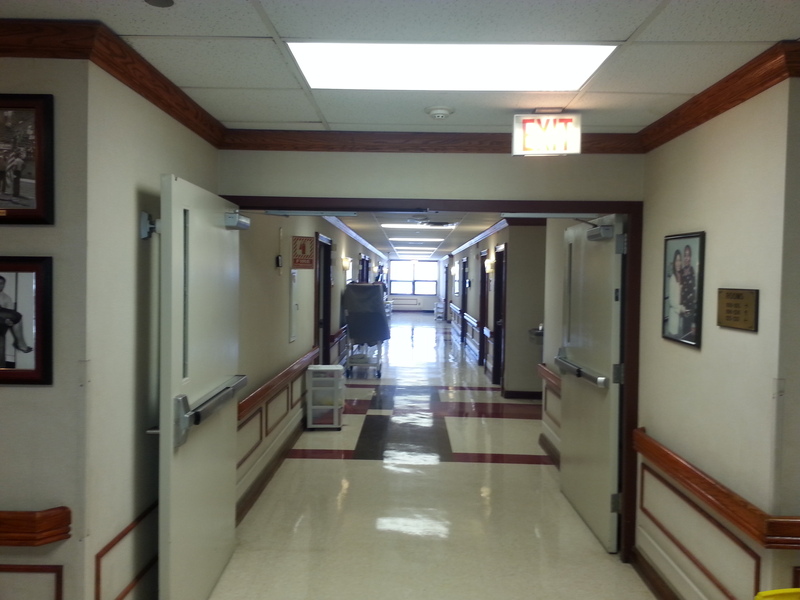 The National Fire Protection Association (NFPA) requires annual inspections for fire doors and frames. NFPA 80 5.2.4 specifies the requirements that shall be verified annually. No open holes or breaks exist is surfaces of either the door or frame. Glazing, vision light frames and glazing beads are intact and securely fastened in place, if so equipped. The door, frame, hinges, hardware, and noncombustible threshold are secured, aligned, and in working order with no visible signs of damage. Door clearances at the door edge of the door frame (wood door), on the pull side of the door, do not exceed clearances listed in 4.8.4. 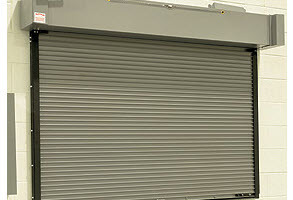 The self-closing device is operational; that is, the active door completely closes when operated from the full open position. 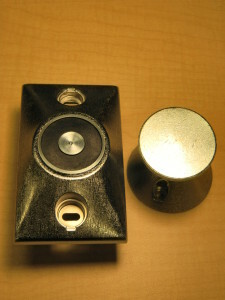 Latching hardware operates and secure the door when it is in the closed position. Auxiliary hardware items that interfere or prohibit operation are not installed on the door or frame. No filed modifications to the door assembly have been performed that void the label. Gaskets and edge seals, where required, are inspected to verify their presence and integrity. Fire doors (normally closed or open) should never be blocked open with a door stop, carpet or other obstruction which would allow the fire to travel past the fire barrier in which the door is placed. Another point to consider is the gap at the bottom of the door. In order to restrict smoke travel, the gap at the bottom of the door should be no wider than ¾”. Please visit FoxValleyFire.com to learn more about life safety and fire protection.